The captain spoke to us ahead of Sunday’s All-Ireland final. Murphy is set to lead the Donegal team out in this Sunday's All-Ireland Final. THERE IS NO doubt that the Donegal football team have undergone a period of considerable transition in recent times. And while this significant change has occasionally provoked criticism and didn’t always bring about the desired outcome for the side, it ultimately appears to have paid off, given that they are currently preparing for the All-Ireland final on Sunday. And the team’s captain, Michael Murphy, acknowledges that the side’s footballers have come to serve as role models for the county’s people during this period of success. “Well, I suppose it is not too long ago that people were looking at Donegal as, and I don’t like quoting this, as ‘party animals’ so obviously it was something that needed changing. Whatever perception people have of Donegal and Donegal footballers, it is not something that bothers us. The most important thing for us is the 30-man squad we have, the backroom team we have. For us, representing Donegal is a massive, massive honour. Moreover, it could be argued that in discovering their offensive edge, the team has also upheld another Donegal tradition, one that meant their play was always easy on the eye. They sacrificed that last year, with their retreat into an ultra-defensive shell drawing all kinds of heat in the aftermath of their semi-final defeat to Dublin. But there was not nothing that was said that could hurt the players more than the result itself. “It was a horrible feeling that day trudging off Croke Park,” recalls Murphy. “We felt we came quite close but at the end of the day semi-finals are like finals, they are there to be won and if you lose a semi-final, you are neither here nor there. “It was a disappointing place to be. I suppose giving our all for the county was some sort of consolation, but we regrouped collectively after the county final and we were back at it, trying to come up with ways to tweak our game. There was no secret that we needed to develop our attacking side of the game and where we developed that to a certain extent this year, there are still improvements to be made,” says Murphy, who rubbishes the notion that there is such a thing as a ‘better’ way to win. He consequently insists that the side do not derive extra satisfaction by winning with the supposedly more attractive brand of football that they have adopted this year. As far as their upcoming clash with Mayo is concerned, most bookies have Donegal as heavy favourites to win the game, but Murphy claims this fact will have little relevance come Sunday. “The bookies are something that never really comes into it, I don’t know if that makes us favourites or underdogs because I really don’t understand the odds,” he says. Murphy has nothing but compliments for manager Jim McGuinness, who most commentators regard as having an instrumental role in Donegal’s recent success. In addition, he denies that there was any particular moment where he realised that McGuinness was taking the side places. “There is no real key moment. I suppose after knowing Jim in the 2010 under-21 campaign, I knew Jim – his ideas, his philosophies, his commitment, his vision, he is a very impressive man. It was a great boost when I heard that he was coming in to take the senior job. Looking back, it is not something that we have really thought about or spoke about how far we have come, or how far we have not come. “It is a kind of dangerous thing to be doing so close to an All-Ireland final, so I think for us to be looking back at things or to be pinpointing certain areas, it would be wrong to do that. If we ever do, it we might do it in the month of November and December, but I don’t think this is the time to be doing it. It is also known that the dedication, the focus, the intellect of Jim and Rory, and the whole backroom team, they provide us with the framework to go out and play to the best of our ability. 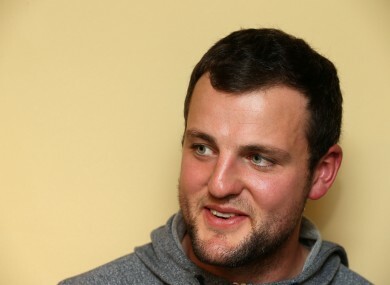 Email “Michael Murphy: 'Whatever perception people have of Donegal footballers, it is not something that bothers us'”. Feedback on “Michael Murphy: 'Whatever perception people have of Donegal footballers, it is not something that bothers us'”.